4 Interior Design Ideas that Will Always be Beautiful — KTJ Design Co. I recently attended the Designer Bloggers Conference in Beverly Hills. It was two and a half days of learning, networking, and getting focused that included a tour of the Greystone Mansion, guided by elite designers Jaime Rummerfield and Ron Woodson. Designed by famed architect Gordan Kaufmann in 1928, the 55 room, 46,000 square foot estate was acquired by the city of Beverly Hills in 1965 and became a city park in 1971. It is currently unoccupied, but the grounds can be visited most days. The interior is for special events, generally film and television productions. The tour was the highlight of my trip. I was mesmerized by the history of the estate and the beauty of its architecture. As we strolled from room to room and heard the juicy details from our tour guides, it struck me how (sans the intricate millwork) this grand estate was completely contemporary for 2018. Greystone Mansion was built with a stylish disregard for trends. Instead, it was designed on timeless aesthetics. 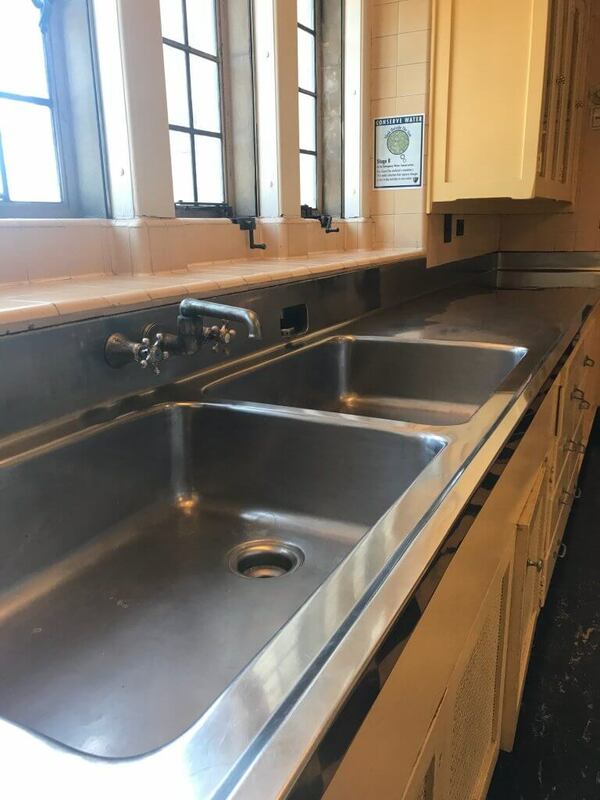 I stood in the kitchen and thought, “This could be a design done by anyone of the designers on this tour, myself included.” Its classic aesthetic looked gorgeous when it was constructed in the 1920s and still looks amazing and current today. 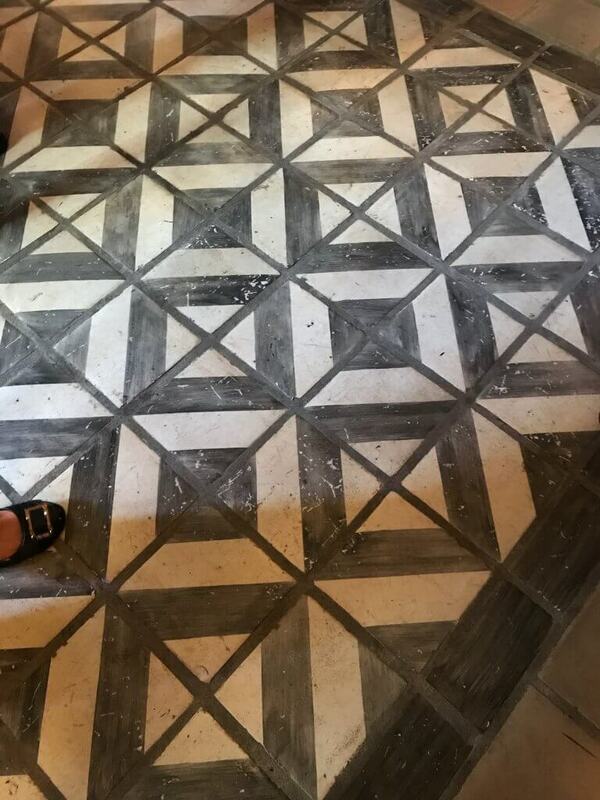 The grand entry floor is black and white checkerboard marble. Any variation of black and white marble will always feel elegant and timeless. 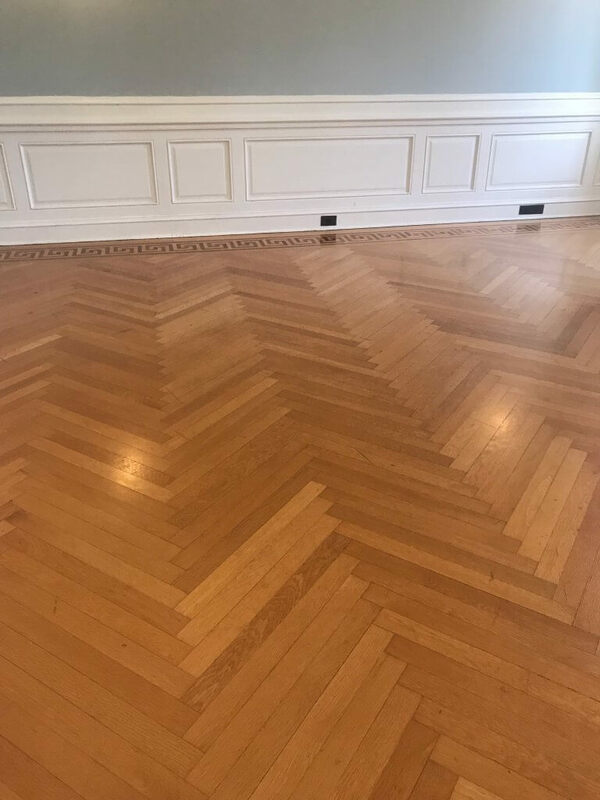 The wood floor inlay follows a classic chevron pattern. Anytime you select a classic pattern like chevron, you create noteworthy designs that will carry you for many years. The kitchen incorporates stainless steel, a marble slab island, and simple but elegant cabinetry. Simple is always better when it comes to kitchen design because it creates a pleasing space for the whole family. 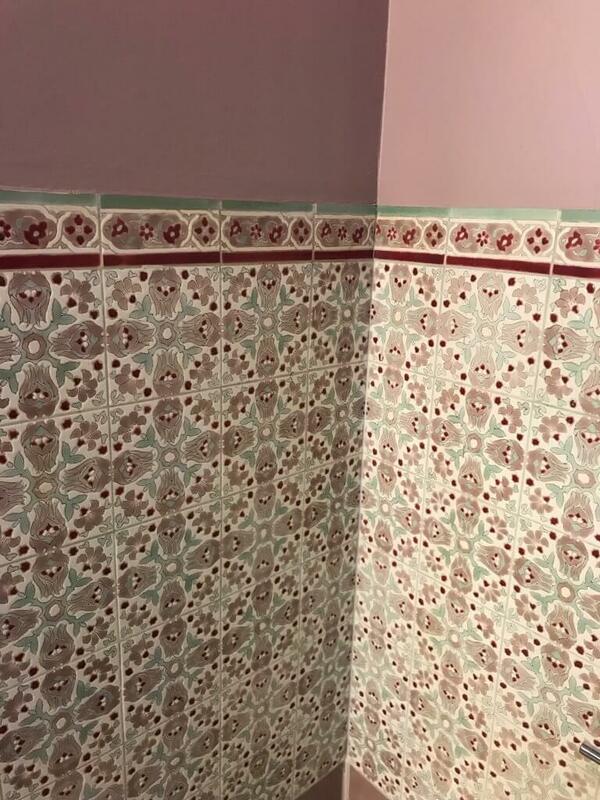 The tile work is exquisite. There is not a beige 12 x 12 tile in sight. Beautiful mosaic tiles in gray and teal, pink and teal, and lively colors in the childrens’ room make the flooring its own work of art. Woodson and Rummerfiled are the founders of Sia Projects, an organization that helps save and restore iconic architecture. Want more design tips? Subscribe to my bi-monthly newsletter, The Inside Story. Designer Finds. . . . . . . . .